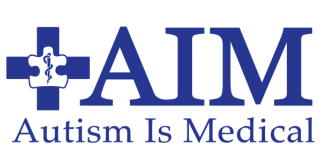 AIM is very pleased to announce our partnership with GC Publishers LLC and is excited to bring you medical CARE bracelets and keychains preloaded with software specific to the ASD community! This will enable you to quickly access, highlight, track, download, update, record, and maintain EACH family members comprehensive personal medical record. Lab results, files, photos, and videos can easily be uploaded to create an extensive and consistent medial record home. Parents, primary care givers, practitioners, emergency room professionals, school personnel, therapists, medical and nursing organizations, policy makers, regulatory agencies...and most importantly, YOUR LOVED ONE with an autism spectrum disorder. These items are instrumental in the comprehensive, multidisciplinary health care approach we feel every single person and family affected with autism deserves. In addition, a portion of the proceeds of the sale of each AIM CARE bracelet or keychain are donated to AIM to assist in furthering our mission and work. Exciting News from AIM !!!!! Because of some generous donations this past year, we are happy to announce we will be giving away one of our medical bracelets/keychains every week or the next four months!! Just be sure to follow the directions below and sign up for our newsletters and to enter your name for this great opportunity.You can come back and enter EVERY DAY! If you win one, please be sure to send us a picture of you wearing your bracelet or using your keychain! Don’t forget to let your practitioners know about AIM and remember, they should be using your Autism Is Medical care bracelet or keychain to update your child’s medical records. We are so grateful to everyone that donated to AIM last year and we will continue to focus on bringing attention to the medical needs of our children and adults with autism. Please look forward to some new and exciting developments from us this year. We hope you enjoy our new format and continue to support us in any way you can. Please be sure to share our newsletter, Facebook, Twitter and website with your family, friends, teachers, therapists, doctors, nurses, practitioners and other families. Don’t forget to shop Amazon Smile in support of Autism Is Medical, and donate using our easy donate button. Thanks for all your continued support. We look forward to an exciting year! !